The KTMB Butterworth Railway Station in the state of Penang in Malaysia, is the gateway to one of the countries main tourist destinations, the UNESCO World Heritage City of George Town on Penang Island. The train station in Butterworth has recently been rebuilt to accommodate the new high-speed Electric Train Services (ETS Trains) and the ongoing construction around the station building is part of the new Penang Sentral transport hub. Once completed, Penang Sentral will accommodate the train station, bus terminal and ferry terminal, all under one roof. Until then - it's a bit of a mess! When your train pulls in to the station, you will have to make your way up the stairs (or use the lift) to get to the main terminal waiting area, before walking back down again to get to the exit. To leave the station, just follow the passage next to the ticket counter. Once you exit the building, the temporary bus station is right in front of you. If you are heading over to Penang Island, turn left at the exit and follow the signs to the Ferry Terminal. The walk up and down over the walkways to the ferry only takes a few minutes. 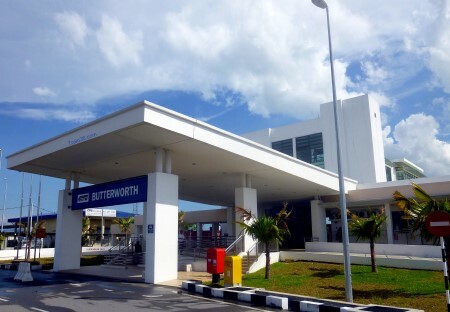 Butterworth Station lies at the end of a branch line on the main North - South Railway Line in Malaysia. Most KTMB trains stop here and you can choose to travel on either the new high-speed ETS (Electric Train Services) or the older, slower, but cheaper, Intercity Trains (Please Note : All Intercity Trains will no longer be operating out of Butterworth from 9th May 2016). 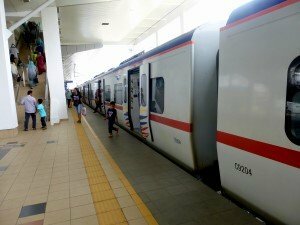 There are also new, cheap Komuter Train services from Butterworth to Padang Besar and between Butterworth/Bukit Mertajam and Padang Rengas. 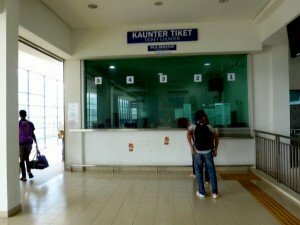 If you are staying on Penang, there is no need to travel over to the mainland to buy your train tickets as there is a KTM ticket office located at the Penang Jetty. If you are crossing over to the island by the Butterworth - Penang ferry, you will see the KTM office as you come down the exit walkway. 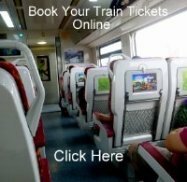 Another alternative is to book your Butterworth train tickets online either directly from the KTM website or through an online agent (which may work out cheaper as KTM has introduced an admin fee of 2 MYR from 1st July 2015).